Webmaster Ltd. can supply labels coated with tinted adhesive. Popular colours are blue and grey but we also offer a custom colour service. 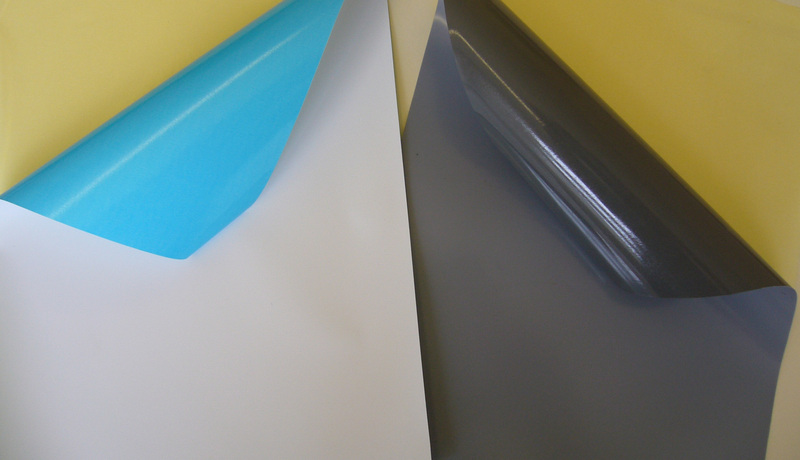 We can offer tinted adhesive with any combination of face and liner; typically, customers request tinted permanent adhesive for multi-layer (piggyback) constructions which use a clear PET liner or for block out applications. Webmaster Ltd. are specialists in multi-layer laminate constructions. ‘Piggyback’ is a multi-layer label construction made up of two labels, where one label sits on top of the other label. This allows the top layer to be removed easily whilst the bottom layer remains. Typical uses are for return address labels and in the medical labelling industry. Piggyback labels tend to have 5 layers; a face material which is printable, an adhesive layer, a release liner, an adhesive layer and a backing liner. Coloured adhesives can be used in the fourth layer when a clear PET release liner is used in the third. Coloured adhesives can also be used in blockout labels. These are labels which can be used to mask printing mistakes, outdated information or anything which requires changing or concealing. Using a coloured adhesive with an opaque film can prevent the image below from showing through.